To adapt to growing threats, the Department of Defense (DoD) says it must urgently change. The Government Accountability Office (GAO) looked at DoD’s process for providing senior leaders with the information they need to adjust the size and capabilities of the U.S. military to meet top defense priorities. Senior leaders are not getting the information they need to make these important decisions. It is difficult to develop a common “starting point” for force structure analysis. The military services’ analyses largely supported the status quo. There was no way to compare options and identify trade-offs across DoD. Products are cumbersome and inflexible. Although DoD guidance states that SSA products are to be common starting points for analysis on plausible threats, including threats identified in strategic guidance, DoD has not kept the products complete and up to date in part because they were highly detailed and complex and therefore cumbersome to develop and analyze. Analysis does not significantly deviate from services’ programmed force structures or test key assumptions. Although DoD’s guidance states that SSA should facilitate a broad range of analysis exploring innovative approaches to mitigate threats identified in the strategy, the services generally have not conducted this type of analysis because guidance has not specifically required the services to do so. DoD lacks joint analytic capabilities to assess force structure. 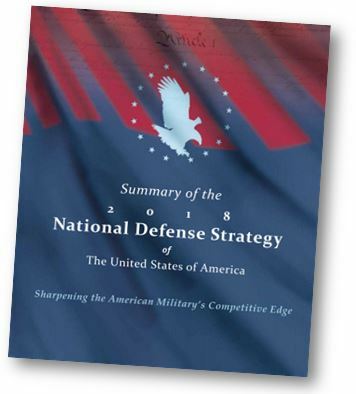 Although DoD guidance states that SSA is intended to facilitate the comparison and evaluation of competing force structure options and cross-service tradeoffs, the department has not conducted this type of analysis because it lacks a body or process to do so. DoD efforts to revise its analytic approach are in the early stages and have not yet identified solutions to these challenges. Moreover, DoD has attempted reforms in the past without success. Without a functioning analytic process that addresses the above challenges, senior leaders do not have the analytic support they need to prioritize force structure investments that would best manage risk and address the threats outlined in the National Defense Strategy.